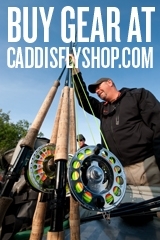 Tim Rajeff and Randy Stetzer of Rajeff Sports joined our Caddis Fly Shop team chartering with Capt. 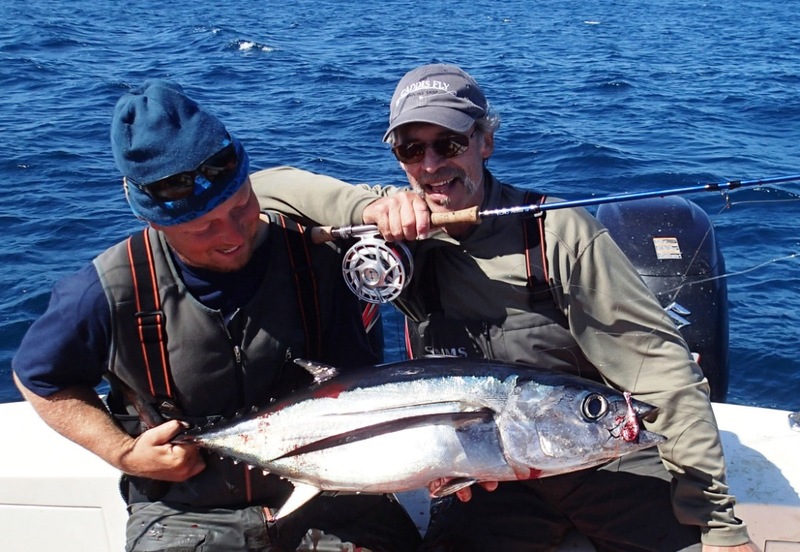 Jad Donaldson (www.fishoregontuna.com) to head west out of Garbaldi on August 19, 2013, hunting Albacore on the cast fly. I have known Tim and Randy as friends and fly fishing/casting/tackle innovators over a period of decades, but of late, we have been far too long on phone and email time, and way too short on water-time. So for me, this was a hugely welcome and much anticipated day. 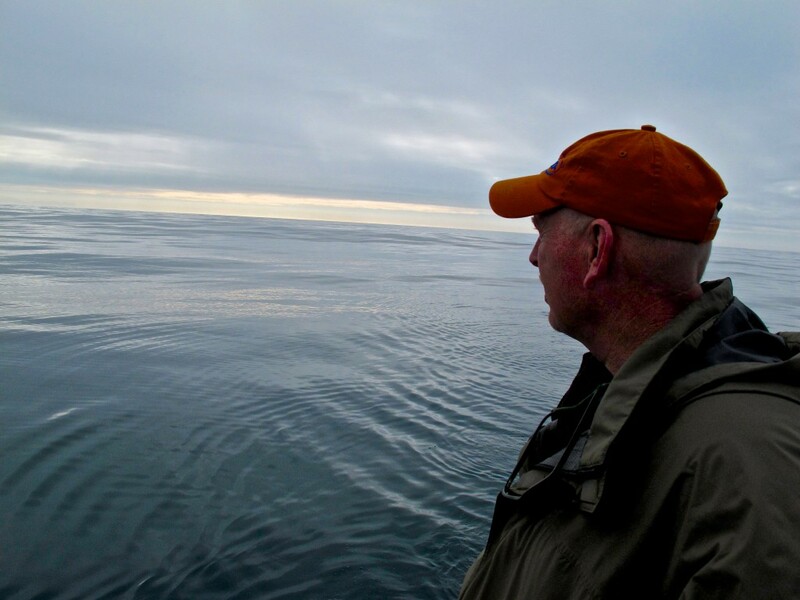 After fishing with Jad for two days, I can tell you two things: first, he is a West Coast Saltwater fly fishing pioneer of the highest caliber and personal class; and second, man-oh-man our crew all had a wonderful time fishing with him. 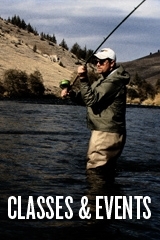 Jad continues to offer tuna fly fishing trips (cast fly under most circumstances) through the end of October. He is pretty much booked but here’s the deal: weather sometimes causes him to reschedule trips and there is enough shuffling around that there are usually a few potential openings. 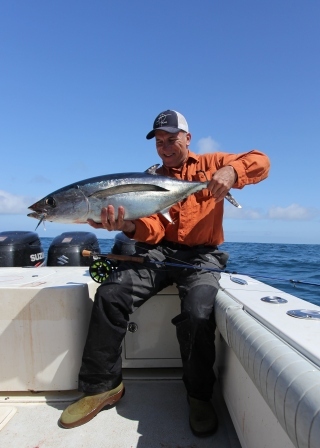 I encourage any of you who have pondered the prospect of casting a fly to Albacore int the 20 to 30 lb class to take the plunge and book a trip with Jad. We fished 6 anglers on a boat, taking turns with 3 casting at a time, and with fly fishers of all skill levels from very basic to advanced. We all had fun and all hooked fish on the cast fly. ‘Nuff said. Now, back to the day with Timmie and Randy: we were not much distracted by shop-talk this day. Right on. Sure, we compared notes on rod performance, line characteristics, recent tweaks in materials, processes and components, but that aspect of our time was pretty minimal indeed. We mostly talked about Albacore a fish Jad knows a lot about, while the rest of us are steep on the learning curve. 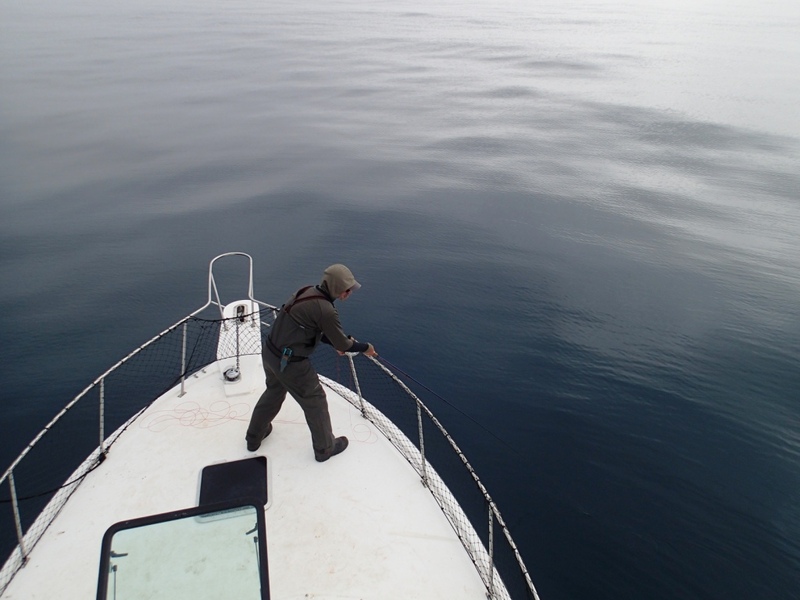 Tim spent a fair amount of time teasing a big Blue Shark at the boat, while we watched and cheered the shark as it repeatedly teased him right back with slow drive-bys and last-second rejections. 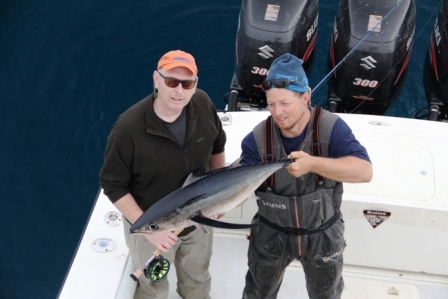 Tim also devoted a lot of his day scouting Albacore from the Bridge of the OPPOR-TUNA-TY. He let us know when we had tuna following our flies, how many there were, and generally drove us to distraction with the play-by-play excitement. 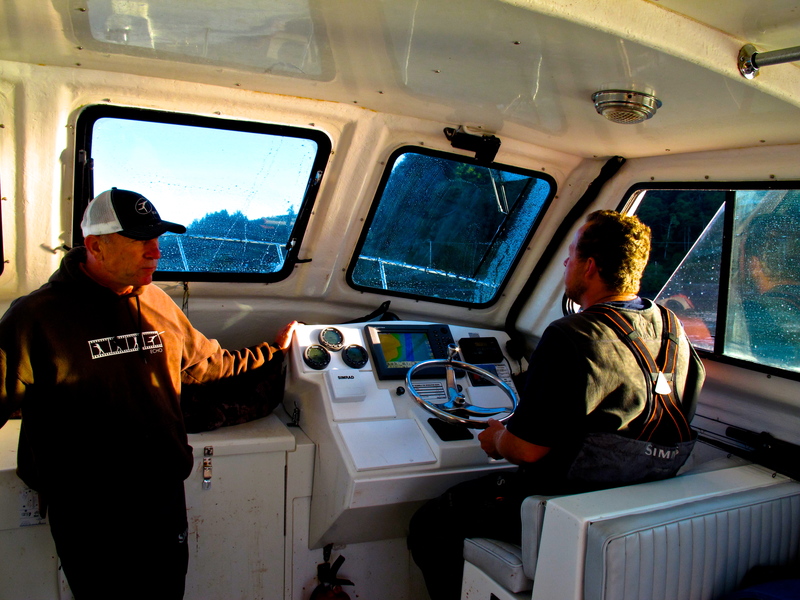 Tim and Jad swapped stories about fishing all over the world. I fished. 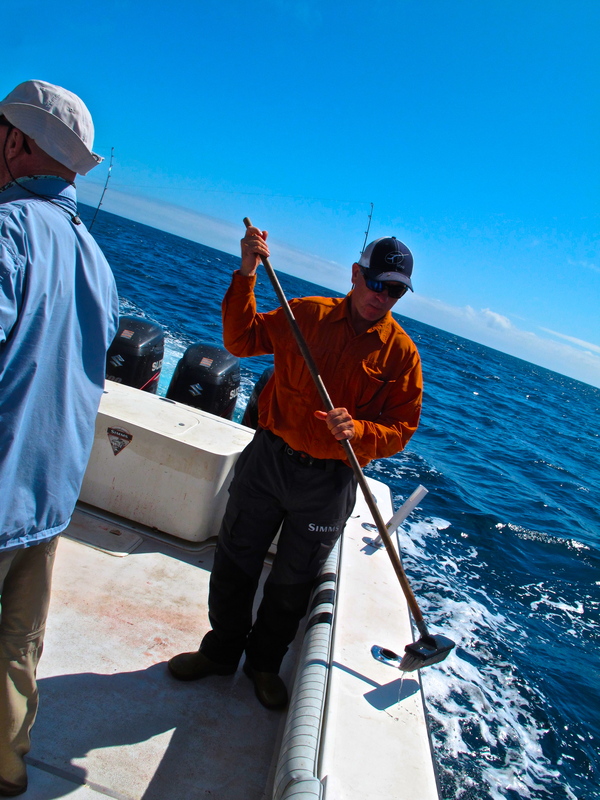 It was not always as calm as this, but I cast to Albacore. I stripped that fly fast as instructed, watched followers and nearly missed takes, strip-set hooks, had fly line wiggling and leaping into the air as Tuna streaked-off into the distance, broke leaders, and generally had a great time. Still don’t really understand the break-off thing. 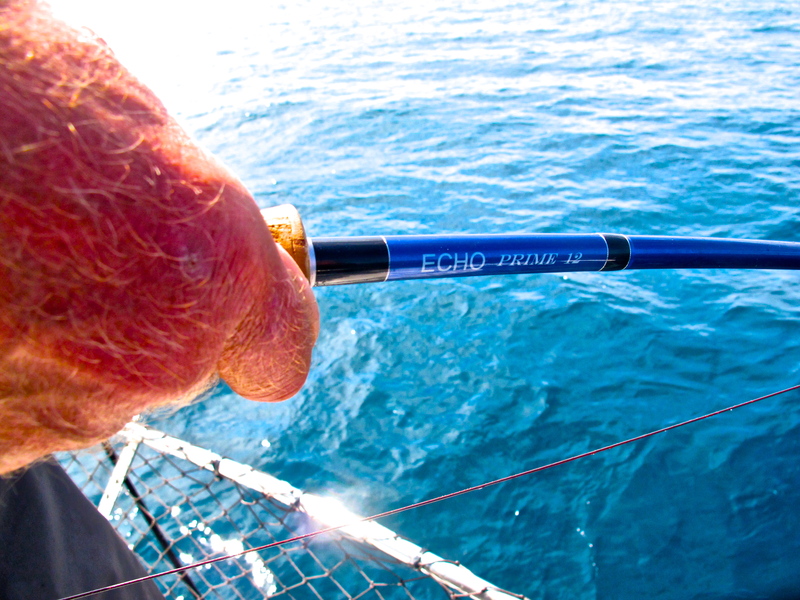 Not my style, one was to a shark rub, one for sure was on a knot that was suspect of but I decided to fish anyway, but several were – huh? These are big, powerful, fast fish. The stuff to ponder while waiting to get out again. 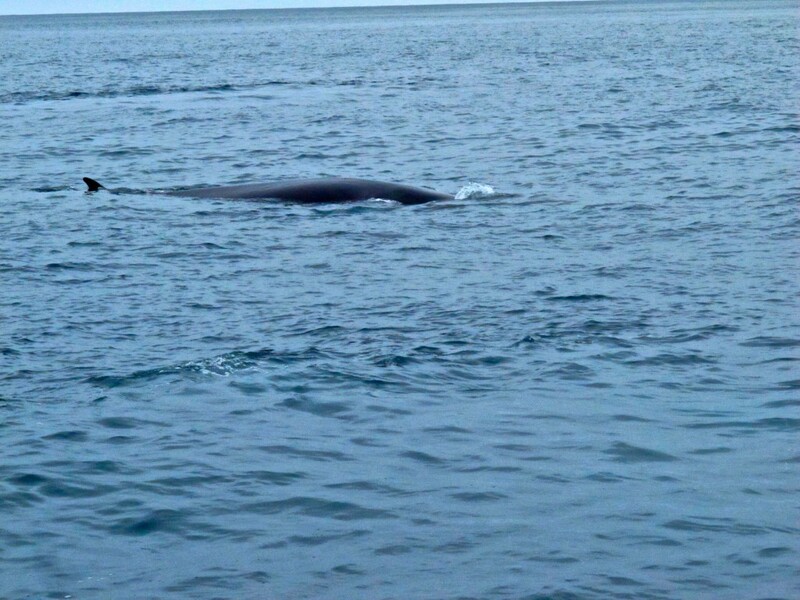 We saw whales, some much closer than this one. Several of us put a heavy lift on the 12 wt Echo Prime. Tim Rajeff worked on keeping the decks clean in the midst of mayhem. Then he showed us how a really strong man does the lifting. 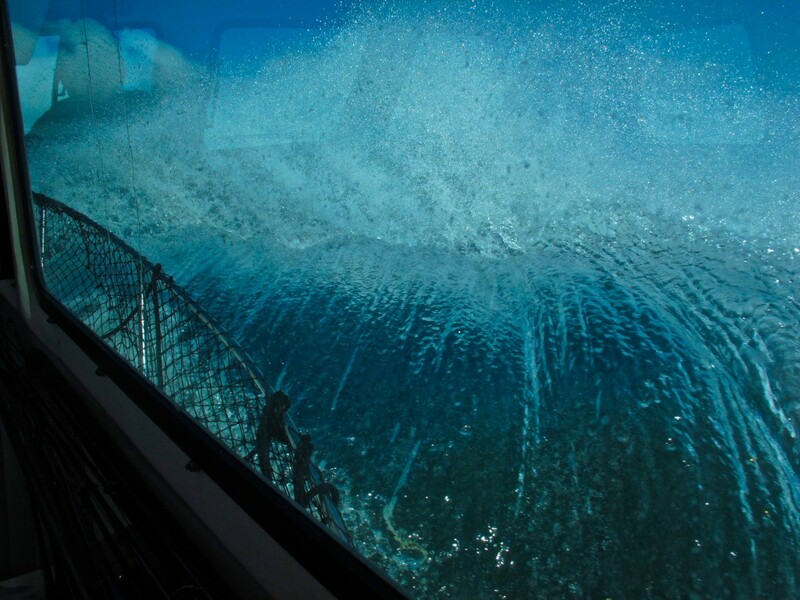 Our return to port in heavy seas was interesting but we still made 28 knots in Jad’s most excellent vessel. Three 300 hp Suzuki outboards did the trick nicely. None of the usual 4 hours to-and-from the tuna grounds that is typical of the vast majority of Tuna Charters. Tim captured the moment while Jad coached Randy. There was time for pure reflection. 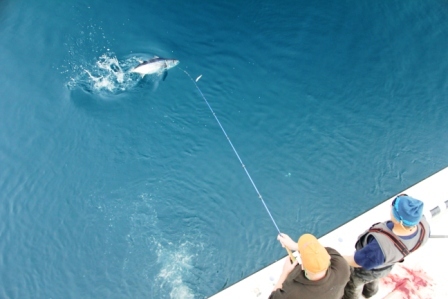 We had a great day, and you will too if you ever charter with Jad. His Verizon phone is 503 298 7133. Visit his website and shoot him an email. 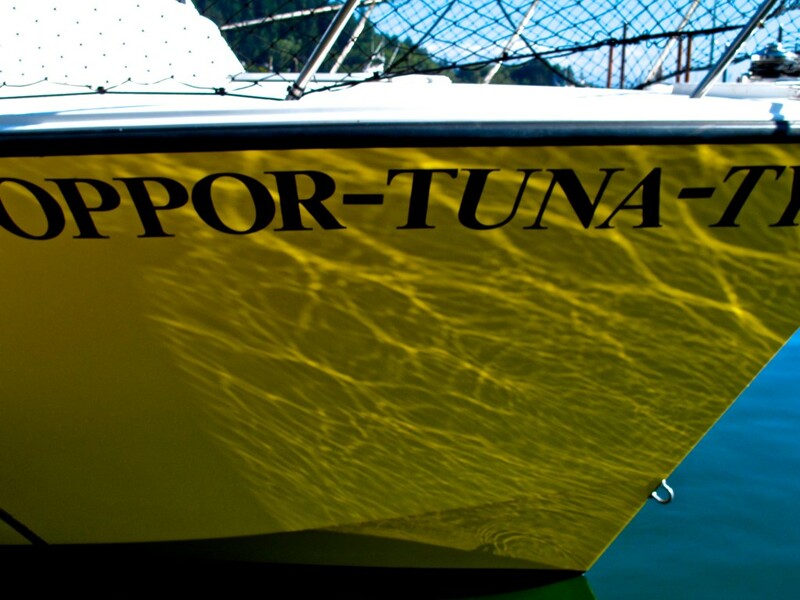 This is not your ordinary offshore charter. 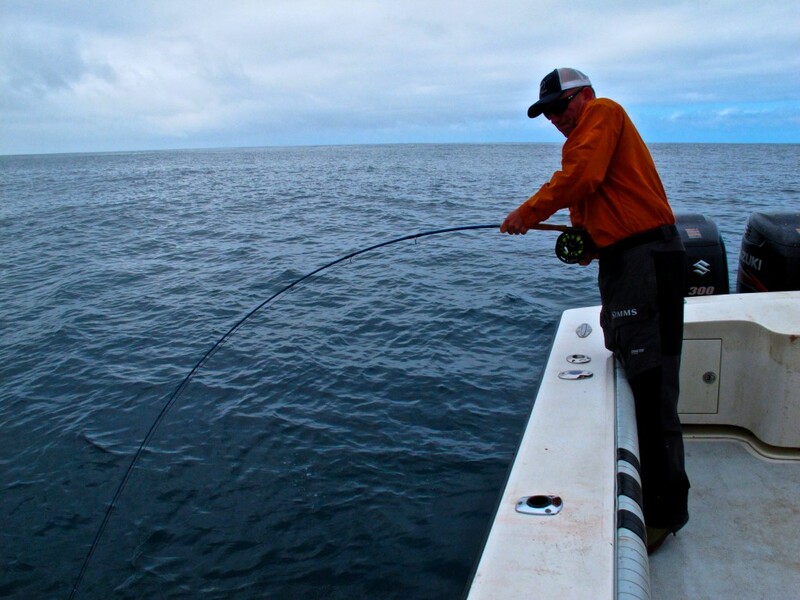 Jad deliverssuperior quality, highly experienced guiding and one-on-one coaching to get clients into an Albacore on the cast fly, which I will tell you is amazing. Thanks to Jad, Tim, Randy, and all of the fine fly anglers who came together through the Caddis Fly Shop to experience this absolutely fantastic fishing journey. 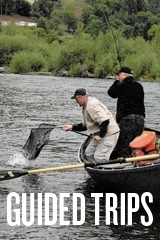 This entry was posted in Fishing Reports, Fly Fishing Profiles, Oregon Saltwater Fishing. Bookmark the permalink.